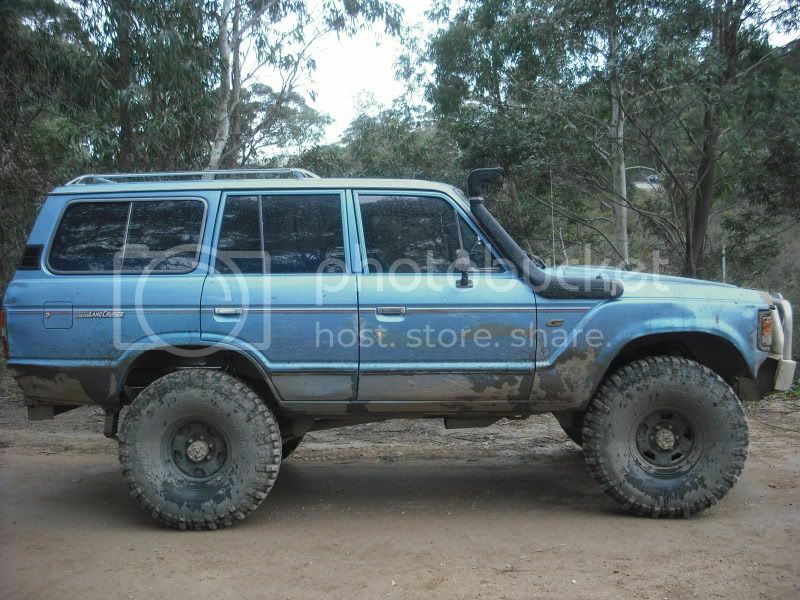 38.5's thats what i ran on my 60.
mate that is one tuff truck engineered? Engineered only confirms that the modifications have been carried out in such a manner , they they will not cause the safety or operation of the modified item to be compromised in any way.......It does not mean you are within the ADR's which govern whether or not it is legal for road use....they are 2 very different things. You can engineer pretty much anything to say its well done, and well thought out, but it still might not be legal for road use. Harb, you seem incorrect in your statement to me. The Engineer is signing it off to say its road worthy in that state. The engineer not only has to make sure the modification has been done in a way that does not take away from the operational safety of the vehicle but they must also make sure they abide by any federal (ADR) or state rules that have been made for the specific vehicle. ADR's it has to comply with are the ones written on the compliance plate. The only reason the insurance company can back out is if you havent told them that the vehicle has been modified. Once you tell them, they could choose not to, and you go elswhere or they cover it with the modification. michaelwitham wrote: mate that is one tuff truck engineered?